If you’re looking for an investment opportunity that you can enjoy or charge others to enjoy all year round, Morzine’s popularity makes it an excellent choice. 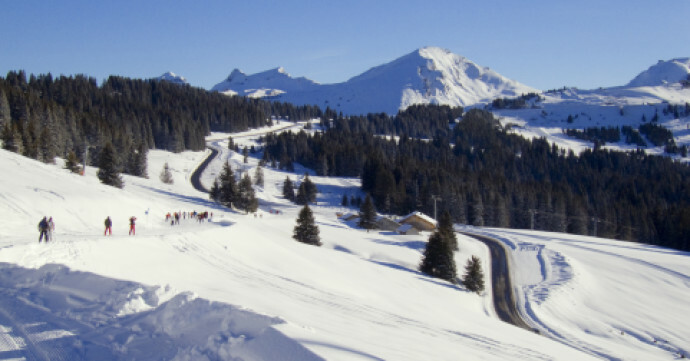 Morzine sits at the heart of the world famous Porte du Soleil ski area. It is also directly linked to Avoriaz, which has one of the best snow records in France, with an average snowfall of 8 metres per season. In case anything ever goes wrong with the real snow, Morzine has your back, with state of the art snow-making cannons to keep the slopes well-covered. As we mentioned in our Morzine Property Investment Guide, Morzine offers prime alpine property. There has been a massive investment in the resort and its infrastructure in recent years, which has attracted and will, of course, continue to attract thousands of visitors all year round. 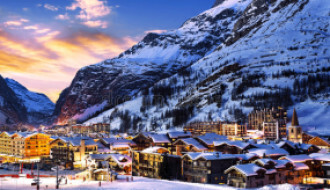 The mayor of Morzine announced the investment as “Project Morzine-Avoriaz 2020”, designed to significantly improve the area and boost investment opportunities for buyers, sellers, visitors and residents alike. A new €35 million lift is to be installed this year and €11 million will be spent on surrounding infrastructure. Morzine, already popular, is on the up! The area in and around Morzine is stunning; flooded by gorgeous woodlands, rolling valley hills and exciting wildlife. 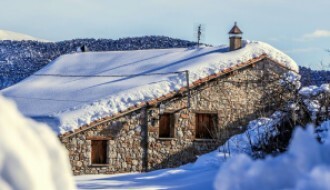 Property prices are not as high as you might think, considering the sheer popularity of the area and the great skiing. Prices are on the rise though and will continue to rise due to the significant and well-publicised recent and planned investments in infrastructure. So now is a great time to buy. For a property owner in Morzine looking to get a return on their investment, the sun is shining bright. Thanks to sites like Air B&B, renting your home out is easy and straightforward. There is plenty to attract people to Morzine, and if your property is in a good location, you have essentially struck gold. Morzine continuously scores high in the popularity polls all year round, with the resort being a celebrated mountain biking destination during the spring and summer months. We all know the value of dual seasonality when it comes to investing in ski property. It’s not great to buy a home which will be empty and unused for more than half the year. 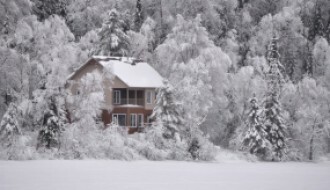 If you have a more restricted budget, then consider looking around the nearby villages such as Essert-Romand and Montriond, where you will pay much less per square metre than in central Morzine. For instance, you can buy a 700m2 plot constructible land in Essert-Romand for just €260,000, so it’s definitely worth researching the investment opportunities in these surrounding villages. The wonderful thing about the Morzine ski property market is the sheer variety of property types available. While most of it is in high demand, the developers and town work tirelessly to meet that demand and ensure that Morzine is always thriving. 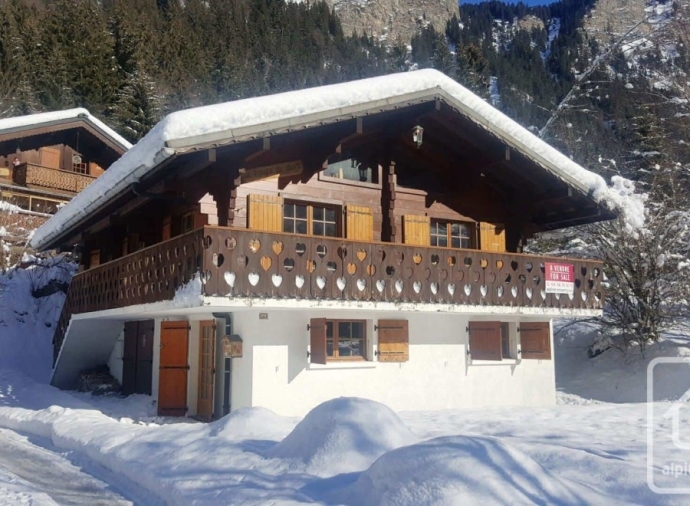 You can find everything from a luxury six bedroom chalet right by the ski lift to a 1 bedroom studio apartment in the fabulous new luxury apartment development Les 3 Sophie. SnowOnly currently has a whopping 133 property listings in Morzine, offering just about every type of property, so there’s plenty to begin your search with. 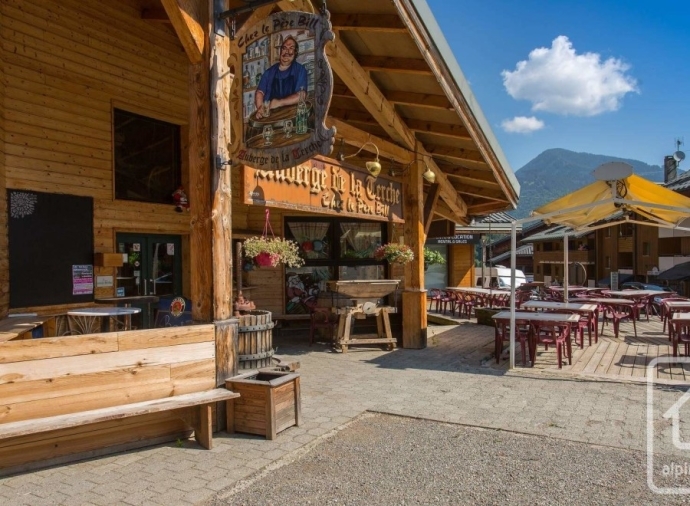 If you are a hotelier or businessperson looking for commercial property investment opportunities in Morzine, there is a huge amount of potential there too. 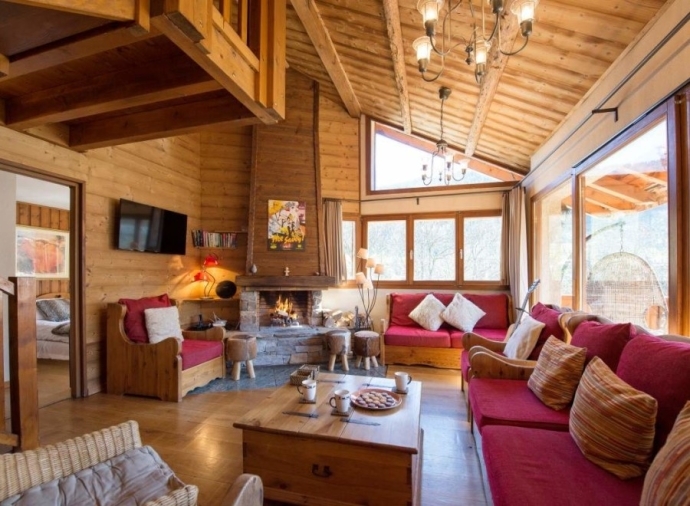 SnowOnly has some very interesting hotels, restaurants and spas for sale in Morzine which would make even the most seasoned entrepreneurs starry eyed. 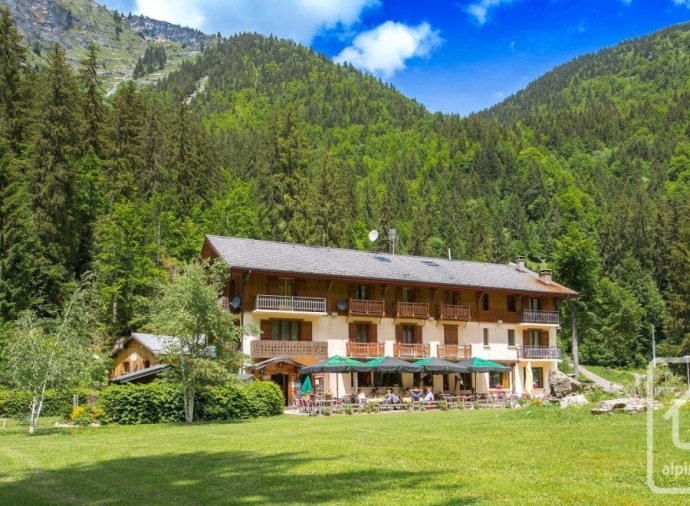 For instance, this gorgeous 18 bedroom hotel situated on the shores of the beautiful Lac de Montriond is up for sale for just over 1.5 million euros. The location is idyllic and popular all-year-round, and the hotel is extremely well-equipped. Meaning that, after a little décor refresh, Hotel les Sapins would be open for business. With 18 en-suite rooms, many of which having private balconies, the hotel could potentially make 20,000 EUR per week in room fees alone, without counting the bar and restaurant earnings. There is also loads of potential to expand the hotel and add extra luxury facilities such as a spa, boosting the value of a stay there! Other investment opportunities include this already well-established, prime positioned restaurant L’Auberge de la Terche’ which is on sale for EUR 1,210,000. Considering the earning potential, it is a very cheap investment indeed. Central bars and restaurants in ski areas always do well, if managed efficiently, because the demand will always be there. This amazing property is located at the foot of the home run and main ski lift, so it couldn’t be in a more perfect location to greet hungry skiers and thirsty après-ski crowds! All in all, Morzine offers an array of really exciting investment opportunities, both commercial and residential, making it an area you should really be considering seriously if you are looking to invest in ski property in France. Owning alpine property will always be a sound business investment; people will always want to ski and spending time in the mountains will always be seen as a magical and tranquil experience, whatever the time of year!